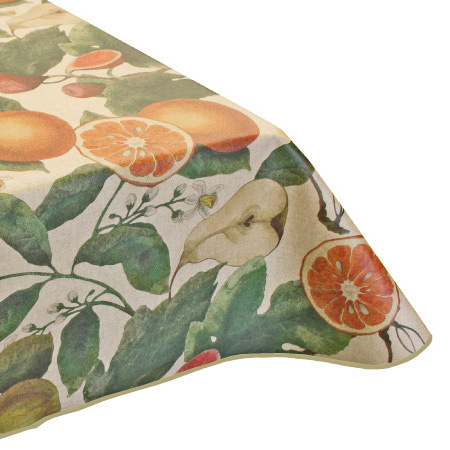 When you need something traditional, yet fresh, look no further than this fruit print tablecloth. In muted tones, the pattern feels neutral enough to blend with your home’s décor. From spring to fall, this tablecloth will add a sweet touch to your table. The Teflon coating protects the surface and allows for an easy wipe clean finish.